Love the new /L, /G, and my all time favorite /P functions. Love the Group chat options, just wished it allowed more than 8. As mentioned by others, mic’s don’t function properly (especially in person spaces). Didn’t like the chat box changing to all white, then to half white/color. It was too hard to follow the chat log that way (thankfully the option to change back to the old way was available – should set that as default). Home has come a long way since it opened, mostly for the better. Keep up the good work! Yup…I’m finally done! The ability to invite people to your personal space who are not on your friends list. I don’t want to friend every person my friends are friends with just so we can all be together in a personal space. Especially if I was at my limit for the friends list. Does this mean Godfather’s bar, Sirens ward of despair and the gathering place for cave explorers are all getting torn down?????? I’m worried.. will we keep all purchased items? like clothes and personal spaces.. and will the dolphy reces still be there?. @302 All of your stuff is safe, don’t worry about that. I’m gonna miss some of my favorite public spaces though. It Looks awesome But when i hear “Reimagine”Thought it would go for the style and graphics of this game but hopefully we can fight other people in Action District or the Adventure District That would be awesome to show off are fighting moves in a area. Any word on those terrible, countless, endless load times? I really tried to enjoy Home, I really did, but that always got on my nerves. Love the XMB, hate the new TV show icon on it though. The three sections i use most are Music, Video, and Game. Now a fourth useless to me icon is in the middle and totally messed up my stride. So it would be nice to have an option to load straight to your Home apartment upon start up of the PS3, then I could walk over to a stereo for music, the TV for video and TV services, and the game console or arcade machine to play games. Oh and the phone to chat of course. And I want to be able to display video’s on my huge tv in my Home apartment, its kinda useless now. Just make the start up time within a second or two of what it is now and I’ll be happy. I was thinking maybe you could make Home like an MMO? When you make your avatar you also select a weapon style and maybe a magic ability? Then we could challenge people in Home, and if they accept a grand battle would ensue. Maybe even set up huge battle royals!!! On that note Home Avatar wrestling sounds cool too. How about in that Dead Island game you win a Zombie mount to travel around Home Piggy back on a Zombie!!!!! Then survive to a high enough level, or acrue enough zombie mounts to make your own Zombie chariot!!!! Then we could have Zombie chariot races, duals, etc. How about Move integration in Home? Like the carnival spaces would be much funner if you actually performed the actions like you were actually there. Hows about some 3D in Home? If even just for the personal spaces at first, and let us play with the depth settings and what not. I foresee a Home 3D camera item for takin 3D pics of goings on and the like. Let me control my Avatar’s hands with Move to shake hands, high five, point and laugh, Swing axes at Zombies, etc. Kinda like LBP lets you control the arms, head, and hips with sixaxis. How about RTS games in Home? What happens to all the other maps like The Playground or Red Bull Beach Or Novis Prime? This is really nice. I can’t wait to try it out, though I will miss the central plaza and the rest of the things that will be gone. Do you have any news on the steampunk space? @250. Its more on the gamers attitude towards these problem issue. not all of thm are easy to solve or make to go away in one night or week or even a year. Before your start taking it out on me and saying your clue less.. I know home mods dont have the best answer neither do me/you inthe best efforts for everyone. . Our best option for everyone is to just mute and ignore in those times of gief . its not hard to do. ANd then report and go about your dialy gaming..
Dear Mr. Buser, please bring Mortal Kombat content on PlayStation Home. I would love it if MK costumes are available. KThxbai! but hope everything rolls out smoothly…. I’ve seen a few people ask this already with no response, so I’lll ask again. Although games such as project velocity will remain, what about spaces like the Lucas Arts Cantina, or Irem Square? Will they still be there? The Cantina is what first got me into home in the first place. I’d hate to see it eliminated. @mcbuttz I called you clueless as thats exactly what you are. Every time somebody points out obvious longstanding problems sony hasn’t address trolls like you and devilmosh crawl out of the woodwork making ad hom attacks and foolish excuses. Instead of relying on trolls with no grasp of logic Sony should own up to its problems and fix them. Nobody really cares for admissions of guilt or press conferences or focus groups. The problems I and many others have been pointing out have been staring us all in the face a very long time. So Sony stop pretending to ignore us, or worse letting trolls defend your lackluster performance with flamebaiting, personal attacks among others. It’s very unprofessional and indefensible. You should also look up the meaning of the word “Defamation”, better yet ask your legal Dept. when they’re not too busy defending against the multiple large scale lawsuits against your previous unethical business practices. Very likely nothing will be taken away other than areas with very little visits. If it’s an active space, it will remain in Home. What will happen is those things that we currently have will either remain the same or be improved. Home will also get bigger with more “surface area”. Our favorite spaces will still be a part of the redesigned Home. I’m excited to see the evolution. Hope we will be able to use the MOVE to navigate around home? Thanks. At least someone is reading all this. 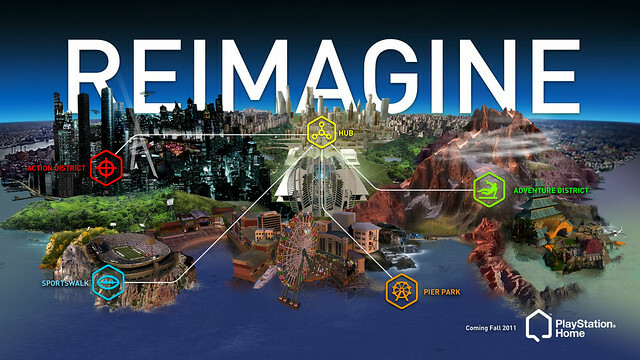 I think that it would be nice if the new Playstation Home had trophy suport. Because that would help Home to compete in a more fair way with the ever growing collection of games we have. We Don’t have time to play every great game, so I think trophy support would contribute for us to play Home more frequently. OMG IM IN LOVE WITH SONY NOW! YOU GUYS ARE MAKING HOME TOO EPIC! NOOOOOOOOOOOOO! (head explodes).lol. remember not to work too hard. and you guys should make mre rides than the ferris wheel. 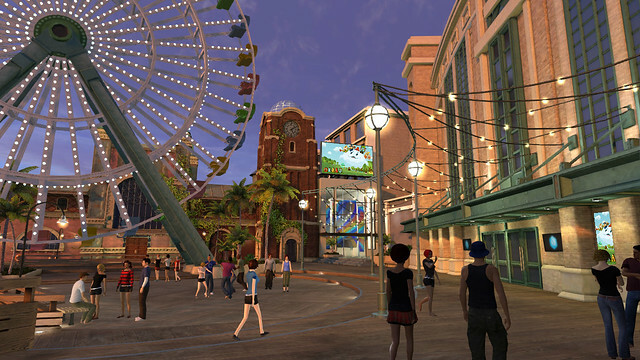 like rollercoasters etc..
my question is do we still get all the stuff we bought in the ps home? can some one tell me plzz. I really want to utilize PS home, hopefully this update will make it worth my while. Okay, Mr. Buser. I think we should try to get all of the users questions all sorted out. Figuring out the specifics right now is like a treasure hunt. I know some of these we have the answers to, but a post after this in the same list format I am posting may help clear this up a lot. -Will our items and spaces stay? -What of items in the shop? Will they be the same? Or will they go away? -Will it still be free? -Will it still be a BETA? -What about the navigator and little device? Will that change or anything happening with that? -How will this questing system work? Will there be levels like most MMORPGs? -If there are levels, will there be level caps? What benefits do levels bring? -If it is more like WoW, how will it be? Will there be fighting in certain areas like Guild Wars or current DDO? @erickafollie, I apologize if you were subject to harassment, but c’mon now, You say NO and stay in the same spot to get harassed? I’m sorry but any sensible person would have left the spot completely if they were harassed. Fighting back just isn’t enough as you’ve been suspended as a result. I mean, it;s not hard to find another space you enjoy or chill with friends in a private space. OR if you’re seriously getting annoyed, turn into a guy avatar, instant invisibility. @lytes nothing of what you say solves anything or excuses your defense of it in any way. What your telling us all to do is give into the harassment, thats inexcusable. You cannot keep blaming the victims nor claim we’re senseless for standing up for our rights as human beings. If you can’t with that then its time for you to leave. When Home was first announced I was impressed and really excited, but it wasn’t anything how I thought it was going to be or how Sony said it was. Loading has to be fixed. Every time you go to a new area it shouldn’t have to load. The walking/running mechanics have to be fixed because they are boring. Trophy room is a must. Playback of your music in your HDD has to be enabled. 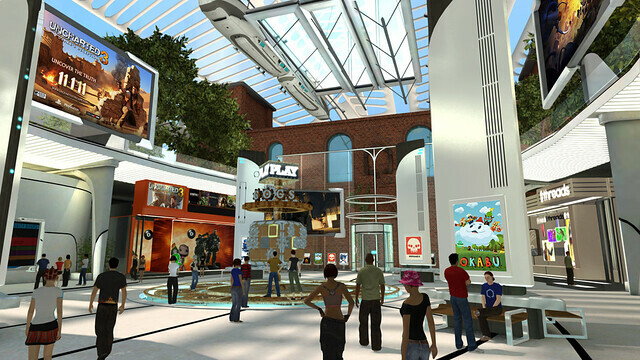 Lastly, having Home features into games are a must if you want non virtual world people to use Home. Also, having reasons for non virtual world peoplel to want to use Home are a must. But in all honesty, Home can be good but it’s not more important than the must have features that are also the most wanted features by PS3 owners. This update is happening for Home but a new UI still hasn’t happened or a new in-game menu (AKA in-game XMB), cross party voice chat, universal game invites, universal music playback, voice messaging, auto Trophy sync, PS button to access notifications, PS2 playback or new PSN profiles. Sony said universal music playback was coming to PS3 with FW update 2.40 I believe it was, Sony even showed us in a video. That video can even be found on this site. Sony has even said in-game video chat was coming to PS3 before PS3 launched and Sony also demoed it. I have a picture of that part of their presentation. I mention in-game video chat because there are people that think the PS3 can’t do cross party voice chat even though it can and that it was never planned but it obviously was when in.game video chat was planned from the beginning. PS3 consumers shouldn’t allow for cross party voice chat or any of the mandatory features to not appear on PS3 soon. Demanding what is right isn’t “complaining” as some say. I just don’t understand how some people don’t want the PS3 to improve. I also want to add, I love how the people behind Home actually respond to our questions and comments and actually respond to us directly with the truth as soon as we ask or comment. That’s how all should be. Great! @PirateHarlock, you’re too into this, I can see your imagination is too great for reality. I still can’t wait on this update though, Home is gonna become even greater. Will the loading of characters be more streamlined I hate seeing transparent people all over the place. Also the animations for walking and stuff are really awkward are those ever going to be updated? AWESOME NO THIS IS WHAT I BEEN WAITING 4 THANK U SONY!!!!!!!!!!!!!!!!!!!!!! Hopefully this all will be fixed with these updates, because lately they’ve only been getting worse. Please raise the number of furniture items allowed per personal space. It’s impossible to fill some places with, only, a 50 item limit. Same thing with active items: why can we only use 2 per space? Also, I have no idea if it’s Home or my headset. 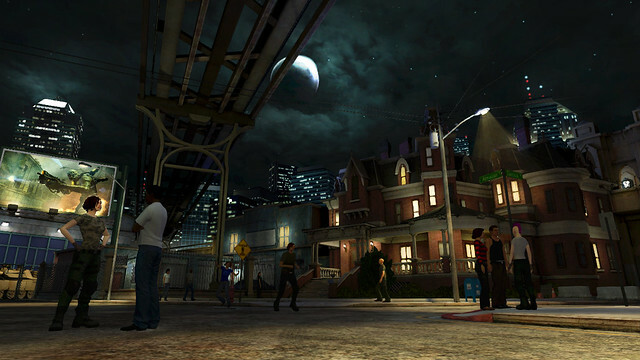 Every time I use the voice function on Playstation Home, I can’t hear anyone’s complete sentence. I will, only, hear half of a sentence and the rest of it cuts in and out. Sometimes, I can’t hear anything at all. So I’ll have a person repeat what they said over and over. This only happens on Home. My headset on regular Voice Chat works perfectly. @lytes, its time for you to shutup already. We’re all sick of your arrogant condescending attitude. Your the one who’s utterly out of touch with reality here, and its more than just me telling you this. Your nothing but a petty minded troll defending those engaging in what is with no doubt some totally inexcusable behaviour. If you had a sister, wife or children using home and subjected to the behaviour your so vehemently defending you’d be talking out the other side of your mouth. As it stands your just showing off your own ignorance and complete lack of integrety. so either grow up or get out, its that simple. AWESOME! This should make Home more interesting! I will give it a try when it releases! I am hard pressed to find anything to do in Home right now because nobody wants to even say hello half of the time. I am not sure what is going on with that. Is it that difficult to say “Hello” in return and strike up a conversation? Here are some things that would redeem home for many people because as it stands right now it’s just a glorified version of second life. Fix the horrid load times – For a service that supposed to be a launch point, this should have been one of the highest priorities from day number one. This is one of the largest reasons I don’t use it. For it to be a viable launch point, it must be extremely snappy, but the current version runs like a slug, even before having to load an actual room. Add Game Lobbies – There should be a generic lobby room for any playstation game that allows players to meet. (Not minis), I mean a full out room, not just a bubble above your head saying that’s the game you want to play. I would endure the horrible load times for this. Rewards for outside of PSHome – Give us avatars, trophies, unlock Minis versions of the game we just played in PSHome. This will giver people a reason to go to home more often.